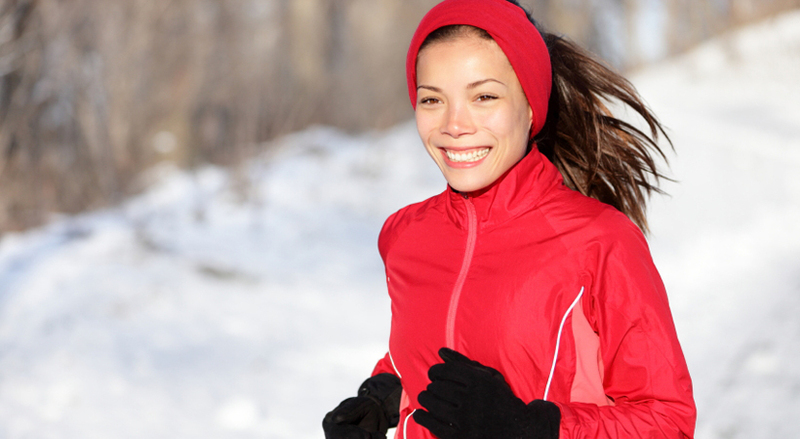 If you love running, you probably want to keep some kind of training schedule in place over the Christmas week. But it’s easier said than done. If you’ve been looking at your diary, trying to juggle Christmas and running, we’ve got the solution. Don’t give up! It’s all possible…you just need to scale back your expectations. The first thing to do is let go of any perfectionist tendencies. It’s unlikely you’ll be able to stick to your regular running schedule over the Christmas week. Just remember that any running you can get in will be a bonus. And probably a lot more than most people manage! Think of your Christmas running sessions as me-time, the chance to stretch your legs, an opportunity for emotional wellness. You might not have time for long runs over Christmas. But 20-30 minutes is far better than nothing at all. So don’t feel defeated if you can only manage very short runs. Make the most of the time you’ve got, and grasp the opportunity. Don’t overthink it – just get out there and run. With distance and duration compromised, you’ll want to up the intensity and effort of your runs. This is an excellent way to make shorter runs more effective. Short intense runs, like sprint sessions, race-pace, or hills reps, will blast calories, ramp up your metabolic rate, and have a great effect on your base fitness. You can increase your metabolism before a big day of eating by ramping up the intensity of your training session. Some studies suggest you could burn an extra 37% (after your run has finished) if you run hard, compared to the post-run calorie burn of a slow run. This metabolic spike can last up to 48 hours. Work hard and stoke your metabolic fire before the big Christmas meal! Challenge yourself with hill reps or bursts of sprinting in your regular run. Or run with a friend and race each other. Run on Boxing Day and you will actually benefit from the extra food you ate the day before. If you’ve done a short intense run on Christmas Eve, your metabolism will still be high on Christmas Day. Continue this trend by fitting in a longer, slower run on Boxing Day to burn into the extra fuel from food and keep your metabolism high. Saturday 22nd Find 30 minutes to get in an intense session. 5 minutes warm up, 20 minutes of sprints, hill reps, or a tempo run, 5 minutes cool down. Sunday 23rd Steady 30 minute run if possible. Monday Christmas Eve Same as Friday – all you need is 20-30 minutes. Do this as late in the day as possible. Tuesday Christmas Day! No running, just enjoy your food and family time! Wednesday Boxing Day – long steady run (45+ minutes if possible). The ideal time to catch up with running friends. Or get out early if you are seeing family for lunch.